If you have trouble viewing this newsletter in your email browser, please click here (http://elijah-interfaith.org/index.php?id=868) to see it online. At a time when the whole world is going through rapid and painful changes, members of the EBWRL wish to offer their modest contribution as an expression of support and encouragement. A recent statement drafted by scholars of the Elijah Interfaith Academy, has been endorsed by the steering committee of the EBWRL and is currently circulating amongst board members. This statement is found below in the ‘Sharing Wisdom’ section of this newsletter and on our website (http://elijah-interfaith.org/869/). In an attempt to engage our readership, we invite you to share any comments, responses or discussion that could emerge from this statement through a dedicated forum on our website. We encourage you to join the conversation at this time as registration for the site is still free, prior to our official launch of the new website. Please register at http://elijah-interfaith.org/?id=13. After the registration process, you can participate in the Communities forum: http://elijah-interfaith.org/index.php?id=748. 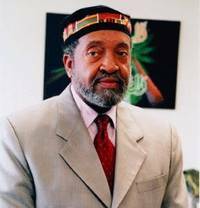 Imam W. Deen Mohammed was born Wallace D. Muhammad on October 30, 1933 to Elijah and Clara Muhammad. His birth coincided with his father’s acceptance of the leadership and formation of the Nation of Islam in America, and this "coincidence" of timing conferred upon Wallace special status as the heir apparent to his father. As he matured, that status was often questioned as he disagreed with his father’s concept of G-d and many of the Nation of Islam practices and beliefs. However, on February 26, 1975, a day after the passing of the Honorable Elijah Muhammad, at the Nation of Islam’s Annual Convention Imam Warith Deen Mohammed was unanimously selected and elected to succeed his father as the leader. Even in his acceptance speech, Imam Mohammed began to transform the pseudo-Islamic, black nationalistic and segregated organization into a legitimate Islamic Movement, embracing the Absolute Oneness of G-d, the Finality of Prophet Muhammed, the acceptance of all the Prophets, the oneness of humanity and the freedom of religion. He led the introverted and secretive organization of 250,000 to become an open and transparent community of Muslims and an association of Mosques that grew to include well over 1,000,000 people world-wide. He established Jumah prayer nationwide in America, led the largest group of Muslim Americans on Hajj and encouraged Muslims to be responsible in upholding their civic duties, as well as rights, in the United States. He promoted and actively engaged in interfaith dialogue and relationships between people of all faiths. He served on the boards of the World Conference of Religion and Peace, the Parliament of World Religions, the Elijah Interfaith Institute and the Muslim World League. He said, "The time to see each other as enemies is out. We must be pleased to see good Christians being good Christians, good Jews being good Jews, as well as good Buddhists, Hindus and any others who believe in Goodness and who invest in the good of the human being, we must be pleased with them and support their good works." Imam Mohammed was a frequent and prolific speaker on college campuses, at peace and interfaith gatherings, and among all types of religious communities, worldwide. He leaves a legacy of deep spirituality, human sensitivity, scriptural insights, scientific curiosity, economic development, religious obligation, international brotherhood, interfaith immersion, decency, humor, affection, sincerity, commitment, and peace. He will be missed by many but forgotten by few. "O Allah! Whoever You grant to live from among us, cause them to live as Believers. And whoever You cause to die from among us, cause them to die as Believers, and grant them the best of Paradise." 3. 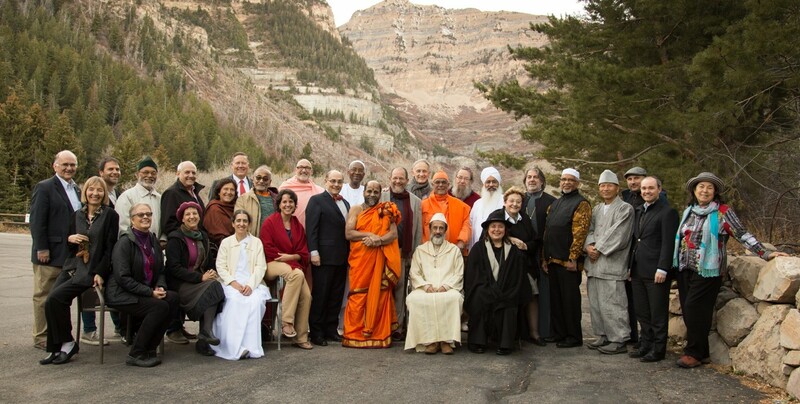 News Update: New Website Released–Elijah Leaders and Scholars Inspire "Love and Forgiveness"
We are delighted to announce the release of a special website featuring the wisdom of leaders and scholars of the Elijah Board of World Religious Leaders (EBWRL) and the Elijah Interfaith Academy. Taken in Amritsar at the last meeting of the EBWRL, this website is dedicated to the theme of Forgiveness. It is part of the ongoing work of the Fetzer Institute, who supported the creation of this website. 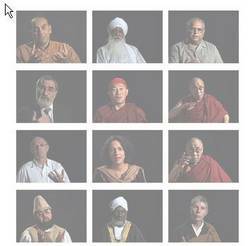 The website features video interviews, and can be searched by religion, name of lecturer and key questions and themes relevant to forgiveness. It is thus a first-rate resource in the teaching and reflection upon forgiveness. The website can be found at http://www.loveandforgive.org/video/. 7. Care and responsibility should also characterize our activities in the local and global marketplace. We recognize that the world of business and commerce is a battle ground for spirituality, where moral and spiritual values are tested constantly. We are thus invited to reflect upon the moral ideals that should govern our business conduct and act accordingly.